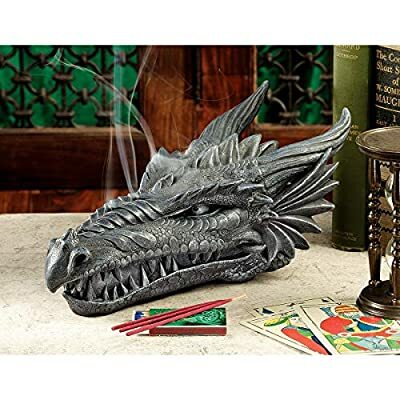 Our Smoking Dragon Gothic Incense Burner by Design Toscano is sure to fill the room with the scent of your favorite incense while also inviting compliments! It is made of a combination of polyresin as well as real grey stone! Design Toscano have provided some great touches to this piece and this results in great value and visually appealing design. Fragrant incense smoke rises from the vented nostrils of this absolutely awesome fire-breathing dragon sculpture, lending mystery to any Medieval decor. Raise the upper jaw of our fierce, Gothic skull statue to stash your extra sticks. 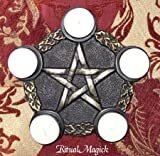 Our fiery sculpture is cast in quality designer resin with a dark Gothic greystone finish. 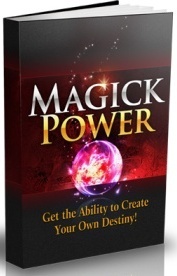 Includes 3 sticks of 4"L. incense. 10½"Wx5½"Dx5"H. 2 lbs. SMOKING DRAGON - Lift the upper jaw of our dragon to insert the incense stick into the holder, then watch the smoke rise from his vented snout, nostrils, and mouth, just like a real fire breathing dragon! 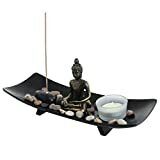 HIGH QUALITY SCULPTURAL INCENSE BOX - Hand-cast using real crushed stone bonded with durable designer resin, our Stryker incense box is then finished with a dark gothic grey stone finish. 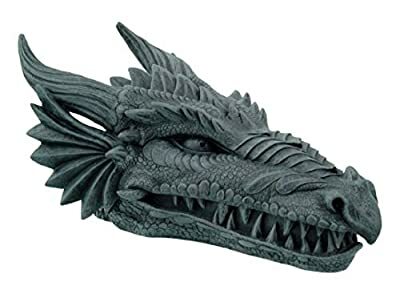 AVAILABLE ONLY FROM DESIGN TOSCANO - Exclusive to the Design Toscano brand, this dragon figurine is made even more impressive with Dragon's Blood scented incense smoke rising out of it. 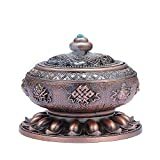 Our Stryker incense box measures 10.5"Wx5.5"Dx5"H and weighs 2 lbs. 4-inch long incense sticks recommended.